Anyone Seen this Radio before? Looks OK. Not as keenly priced as the 9x, but nice that it comes with backlight and tx lipo... That rx looks enormous too! It even comes with a 2200mah Tx lipo. I believe the DSSS is identical to the DSM/DSM2 from Spektrum. The guys is selling this for a little more than his 9x Radios (which are well overpriced when compared to HK). Just wondering if this is some new model? I know it doesn't look like the images of the 9xr which is supposed to be coming out soon, but the LCD does look bigger than the 9x. I've never seen this configuration before. Although it is never quite clear exactly what a Chinese company produces and what they re-market. Is this the new 9x? 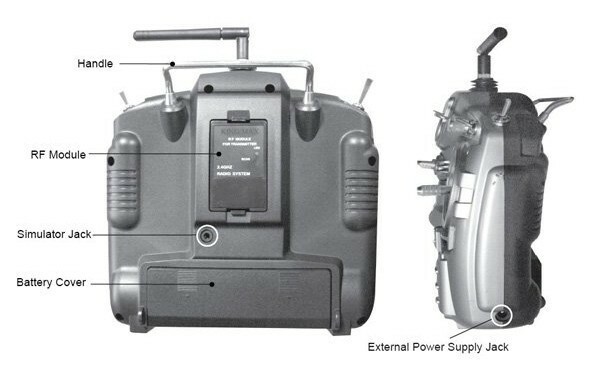 The latest photo of the 9X showed it having the antenna built into the plastic grip - so this is probably not it. Yeah, I don't think so. According to Anthony, the 9x-r will be DSM2/DSMX compatible. When/where did he say that? Twitter? 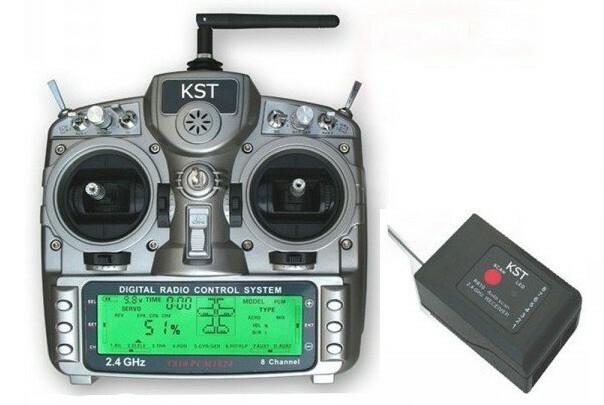 this looks like a new prototype tx-rx combo that Nightflyyer on you tube was talking about the guy used to work for kraft rc back when rc flight was just getting started and popular you ought to look him up and watch some his vids all though he isnt the best when compaired to Flitetest!